AMM blog: What's really going on with all that white bedding? What's really going on with all that white bedding? If you've been following my blog for any real length of time then you know I like to change the look of my bedding. We've been through colors in black, greys, variations of taupe and white, both linen and cotton fabrics. At times I've swapped out pillow covers and throws in the winter time made of wool and knit, then in the summer time removing those extra layers. It's simple to give the bedroom a big visual change in look and feel by temporarily replacing the duvet cover, sheets, pillow covers and blankets. 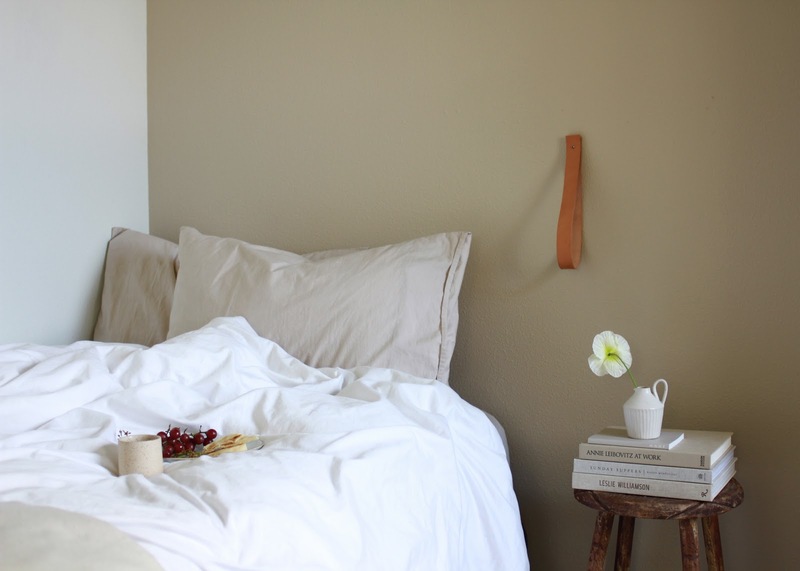 Through the various seasonal changes a full white set of bedding has always been a staple for me - whether to mix in with other colors or to completely white out our bed. In some ways I think this is true for many of us, somewhere in the rotation we have a reliable white cotton bedsheets that we continually come back to. We love the look of it in photos and on Instagram, bright and ethereal billowing blankets and cushions of white. Upon closer inspection, however, and without the magic of photo editing we probably all know one truth, white bedding shows everything! The drawback of such light textiles is that every smudge, every smear, every time we accidentally slept with make up on is going to show up on your sheets. Since I have two young kids, a cat and a husband, there are definitely spots on our bedding that you typically won't see me sharing online. Here - what I'm sharing with you are some spots made by my youngest who was coloring with her markers. Both of the kids know better than to write on anything besides paper or coloring books because thankfully we're now past that artist wall-drawing toddler stage. However with two markers in her hand, Elin leaned on the bed and that's all it took. This is not the worst of the stains I've seen at our house, in fact just earlier this week our oldest was sick and vomited several times over the course of two nights. Let's just say our washing machine has had quite the work load recently. 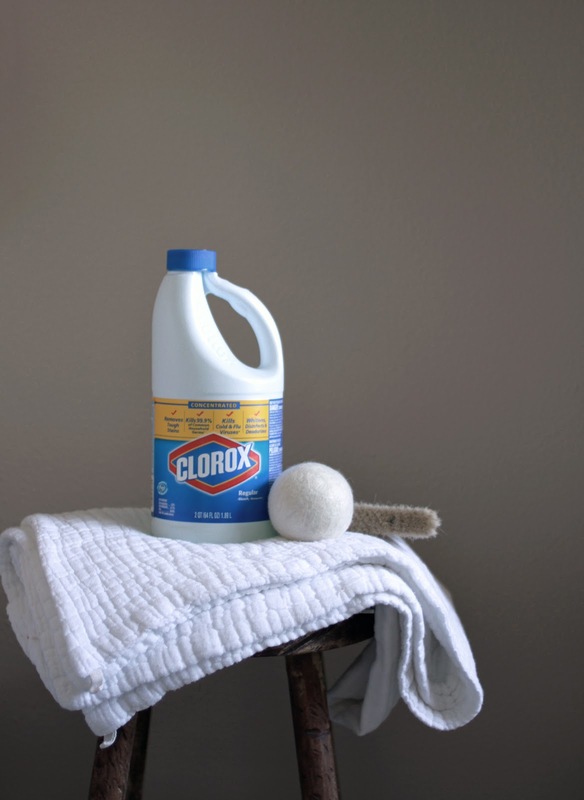 Though white may show stains easier than colors or patterns I've always kept it as a staple in the house because even some of the toughest stains can come out with a bit of detergent and bleach. I've mercilessly bleached out all sorts of things from our white cotton towels and sheets that I wouldn't try with colored or printed bedding. Thanks to my partners Clorox and Cotton incorporated who encouraged me to share this Reality Check and talk about what's really going on with our white bedding. 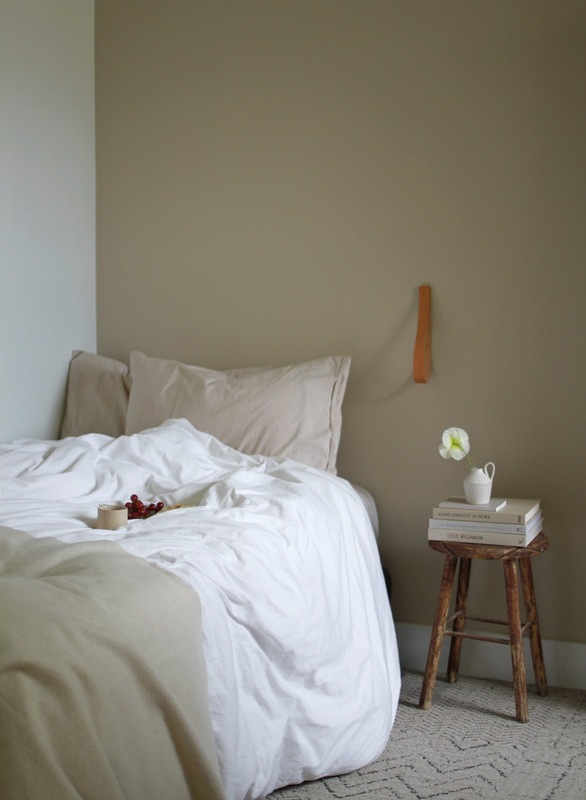 Despite the reality and mess of life along with the inevitable stains and spots that we will no doubt see again, with a bit of work and plenty of bleach, white bedding will continue to be a staple basic in our house for years to come. In case you didn't know, by choosing non-synthetic fibers, and soft durable fabrics such as cotton, I have a sensible choice to fight odors, remove my kids stains and ideal breathable fabric for warm weather. Also, by adding a bacteria-killing agent like Clorox®-Regular-Bleach to your laundry can help sanitize smelly, stain filled clothing, I am able to kill 99.9% of bacteria, which causes odor. 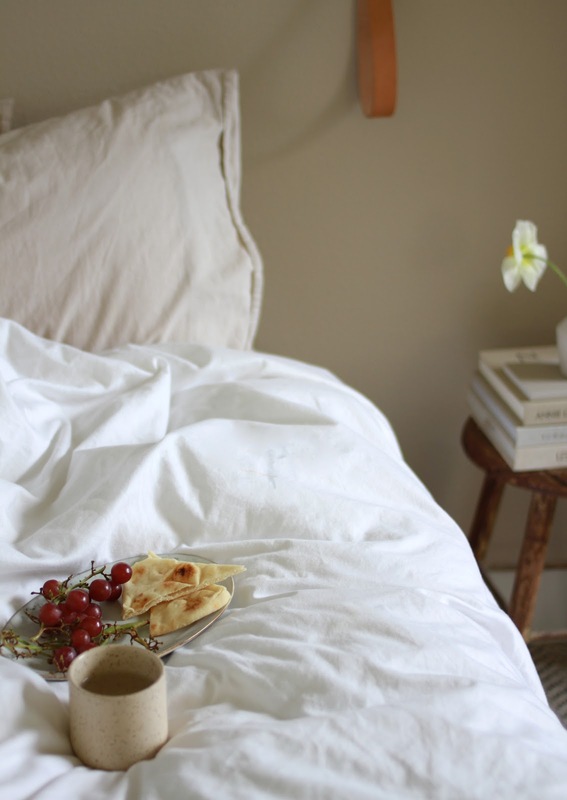 Despite the reality and mess of life along with the inevitable stains and spots that we will no doubt see again, with a bit of work and plenty of bleach, white cotton bedding will continue to be a staple basic in our house for years to come. Also, check out this fun video they made to illustrate the benefits of bleach for your cotton whites. *Do you need a reality check? To extend the challenge to you, we have a giveaway for a Clorox + Cotton Incorporated prize pack, including bleach products and a gift certificate to a cotton-friendly retailer. Just share a perfectly curated photo of your favorite white, cotton bedsheets on Instagram using the #CloroxCottonCombo, make sure to tag me @amerrymishap for a chance to win! * This is a sponsored conversation written by me on behalf of Clorox. The text and photos are all mine.